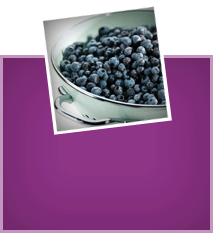 This year will mark the 20th Annual Wild Blueberry Health Research Summit in Bar Harbor Maine, (September 27-30 2017) where eighteen leading researchers from the US, Canada, England and Germany will convene to share and discuss blueberry and human health research findings. One of the founding members of The Bar Harbor Group was James A. Joseph, Ph.D., better known as Jim to his many friends in the research community. As Director of the Neuroscience Lab at the USDA Human Nutrition Research Center on Aging at Tufts University, Jim made significant contributions to the fields of brain aging, Alzheimer’s disease and nutritional neuroscience, right up until his untimely death in 2010. Jim’s passion for colorful plant-based foods and his interest in the potential health benefits of polyphenols led to his widely celebrated book The Color Code: A Revolutionary Eating Plan for Optimum Health, co-authored with Dan Nadeau and Anne Underwood. Jim’s belief in the “pigment power” of colorful fruits and vegetables was borne out through his groundbreaking research. His most recent work included collaboration with colleague Barbara Shukitt-Hale, Ph.D., demonstrating that polyphenols in blueberries can reduce the effects of inflammation in the brain and boost cognitive performance. Results of the study were published in 2008 in Nutritional Neuroscience. Jim’s amazing contributions to nutrition research, and his legacy as a formative member of The Bar Harbor Group will never be forgotten. In 2010, The Bar Harbor Group suffered another loss when Mark Smith, Ph.D. died after being struck by a car. Just 45, Mark was an eminent scientist who advanced research on Alzheimer’s disease and the biology of aging, contributing to more than 800 studies in his field. Mark was a faculty member at Case Western Reserve University’s Department of Pathology as well as Director of Basic Science Research at the University’s Memory and Aging Center. He served on the editorial boards of some 200 journals, and was Editor-in-Chief of the Journal of Alzheimer’s Disease. Mark was a pioneer (some described him as a “renegade”) in getting Alzheimer’s researchers to consider antioxidants as a possible treatment for Alzheimer’s. 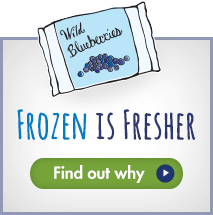 His research led him to conclude that a blueberry-rich diet may help stave off Alzheimer’s and other age-related neurodegenerative diseases.